JEE Mains Counselling Admission Procedure 2015 : JEE Mains Counselling is the process in which an individual is alloted with a college and a course according to his capabilities.Top reputed college or an university is offered to the students with the maximum marks and the students with the minimum marks have to settle for a private or a low grade college. The result of mains was announced on 1 july,2015.Based on their choices and several other factors, allotment will be done in Under Graduate(UG) engineering course.The last date of submission of counselling details is july5,2015 and also the counselling of mains will be held with the counselling of JEE Advance.Previously(before 2013), the board was responsible for allotment of seats, named CSAB (Central Seat Allocation Board) but after 2013 it is conducted by Joint Seat Allocation Authority (JoSAA), which is a combined effort of CSAB and JAB. 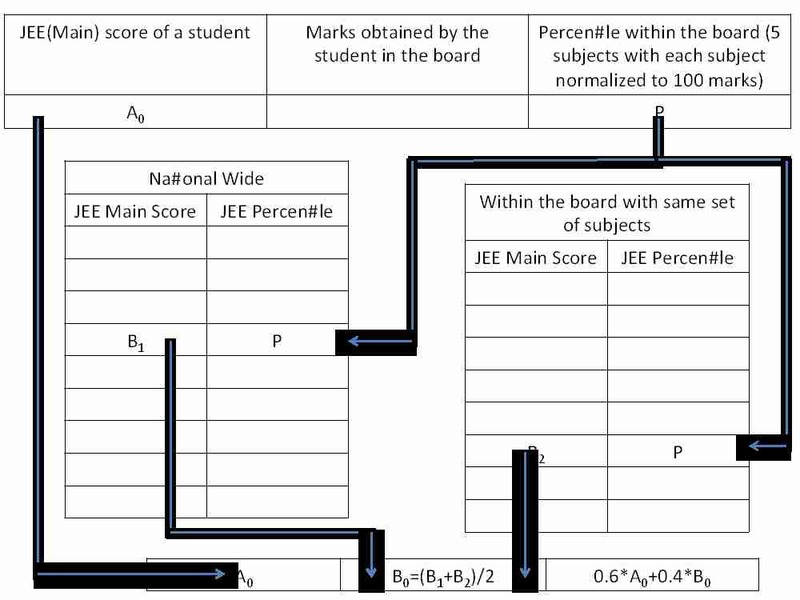 Normalisation process was introduced in 2013 which includes 40% weight-age of boards and 60% weight-age of JEE Mains.This is done to provide a fair means for all kind of student to take admission in good college.Previously students got admissions in reputed college only if he scored extra ordinary in mains,boards was such at least priority.All the students used to rush for competitive study and forgot the use of basic study.Thus keeping this thing in mind JOSAA was launched in order to attract students to basic study. 1.Calculate the JEE MAINS and board aggregate of each student. 2.On the basis of these two aggregates,the percentile(P) is calculated.P is calculated from the aggregate of any five subjects included in boards and find the Mains aggregate corresponding to percentile (P) at the All india level.Let it be “A”. 4.Thus the normalised marks will be 0.5 X (A+B). 1.Browse the official website of JOSAA,enter details and pay counselling fee so as to get registered. 3.Colleges will be allotted to students at the time of result. 4.Usually the counselling process includes three rounds and a spot quota. 5.One the college is allotted to an individual,he have to submit the fee so as to confirm his seat. 6.Get all the documents checked by the officials. 7.A provisional letter will be provided to student which confirms his seat. 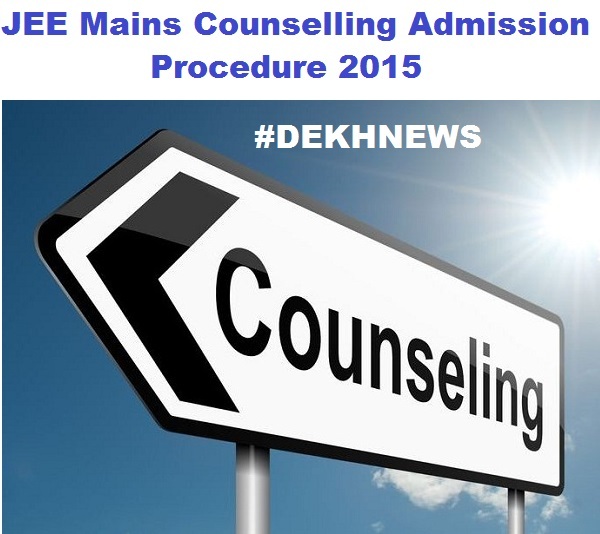 We hope you like and appreciate our article on “JEE Mains Counselling Admission Procedure 2015“. Please do not forget to share it on social networking sites such as Facebook, Whatsapp, hike, bbm, wechat, instagram, line, viber, pinterest, stumble upon, twitter etc. You can also provide us with your feedback by commenting below in the box. STAY CONNECTED.